To create comprehensive surveys that provide a personalized experience for users, when you create survey questions, reuse properties that users provide as answers for prior survey questions. You can reuse the properties of any question format, such as a radio button matrix or simple text. 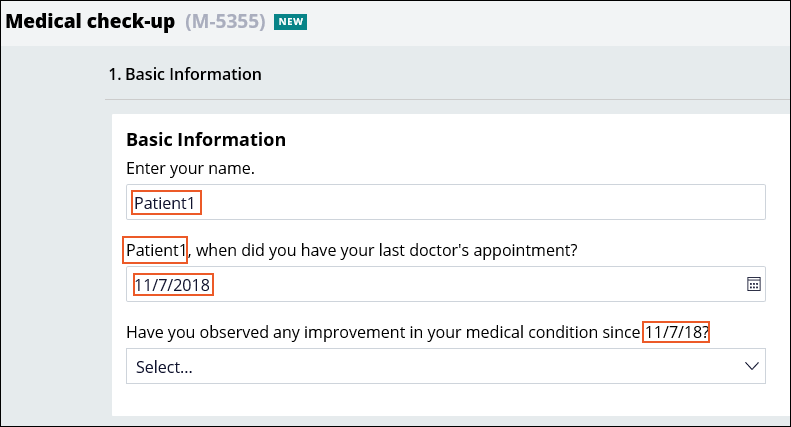 When you create a survey, you can also reuse answers that users provide on another survey, as well as reuse the properties that belong to the same base class. For example, you can ask users to complete a survey before the recruitment process, and then reuse their answers in the survey that the user completes after the recruitment process. You can ask users to enter their name as an answer for a question, and then begin subsequent questions with the answer that the user provided. For more information, see Reusing answers in survey questions.